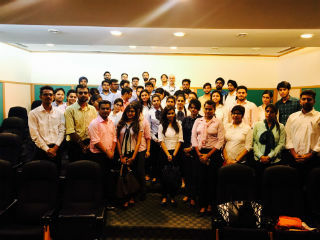 JIMS PGDM students visited Moser Baer plant at Greater Noida to get learning of manufacturing and other processes. Initially they were briefed for about an hour by the officials about the company and its products. Later students were taken around the manufacturing plant and were explained about various processes. It provided excellent opportunity for them to see in detail the manufacturing and quality operations for the commonly used products. 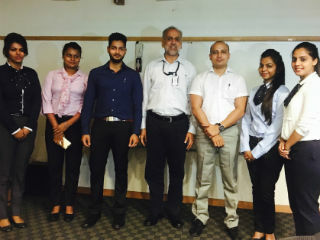 Besides understanding interesting facts about the company, students also got acquainted with the techniques and machines that make Moser Baer’s CDs and Pen drives. It was a real enthralling experience and learning for them to watch the precision of the workers, automation perfection of machines and cleanliness at the workplace.